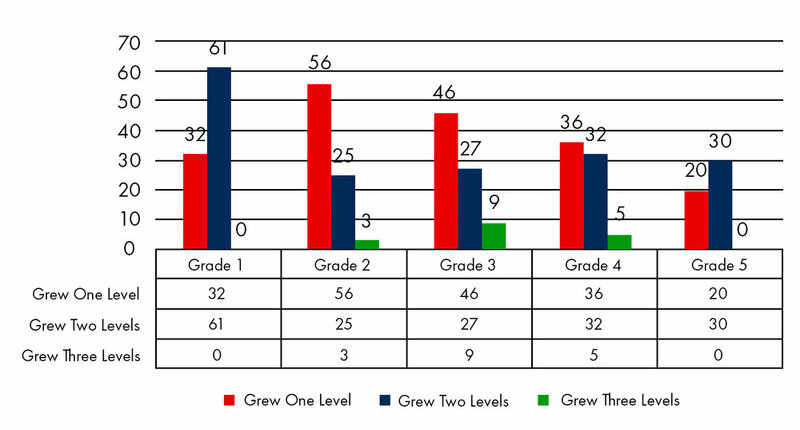 Using mid-term interim math and reading assessment data, the students are making significant progress at all grade levels. At Downey Unified School District the English Language Learning Progress Indicator (Grades K-12) has shown steady improvement in the percent of English learners who made progress towards proficiency. English Language Learning Progress Indicator (Grades K-12) shows steady improvement in percent EL who made progress toward English proficiency: 2015 (67.7%), 2016 (70.4%), 2017 (73.9%). The improvement work of the the instructional leaders, teachers, and students have shown promising results in a short time. 44% growth rate in 3 months! Getting Results: In just two years, Norfolk Public Schools increased the number of accredited schools by 22%. In 2017, 61% of all Norfolk Public Schools received the distinction of being named as FULLY ACCREDITED by the Virginia Department of Education. The number of students meeting their AR goals grew by 126 students in just one trimester. Closing the Achievement Gap: Mammoth Unified School District made remarkable progress from the Spring 2015 to Spring 2016 toward their improvement goals in English Language Arts with all students and closing the gap with Hispanic or Latino students as measured by the Smarter Balance Assessment Consortium.